Change things up with these side-trips from Amelia Island: Jekyll Island Historic District (in Jekyll Island) and Crooked River State Park (in St. Marys). 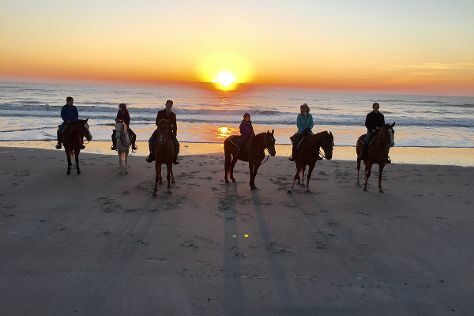 The adventure continues: take a pleasant ride with Amelia Island Horseback Riding, steep yourself in history at Fernandina Beach, brush up on your knowledge of spirits at Marlin & Barrel Distillery, and get outside with Egan's Creek Greenway. For other places to visit, photos, and other tourist information, read Amelia Island tour builder . In February, daily temperatures in Amelia Island can reach 69°F, while at night they dip to 51°F. Wrap up your sightseeing on the 13th (Wed) early enough to travel back home.